Data protection is complex and involves multiple teams, technologies and systems to work together. One of the first hurdles IT teams face is in conducting a Data Assessment Report, which requires organisations to locate any personal data they are holding and document how the data is collected and processed. This detailed assessment must be kept current and ready for regulatory inspection or compliance audits. However, many businesses find it challenging to locate that data. When you are a large enterprise, this can take more than just a call to your IT department and can take weeks – even months – of investment. Perhaps most significantly, regulations require any company that experiences a data breach to publicly acknowledge the breach and notify the local Data Protection Authorities (DPA) in the member states where the people affected by that breach reside. Businesses must notify the DPA’s within 72 hours of identification or confirmation of the breach. They must be able to tell them what data was breached, how many records were taken and provide a member-state specific report around the infringement. This requirement means all businesses need to be able to understand who accessed the data, what activity they performed and when they performed it. Any organisation without strong technology solutions in place will struggle to provide the requested information within the 72-hour window. Limiting access to certain information and making sure that access is authorised and reflects any changes within the business is a critical step in data protection that many companies tend to neglect. 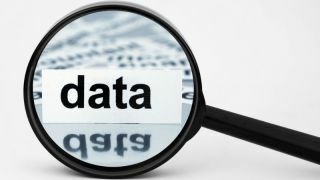 It's important to analyse policies on data collection, handling, test data usage, data retention, and data destruction. At each point, access must be on a need-to-know basis. Users should not be allowed to accumulate access rights as they are promoted or move laterally within an organization. Privileged accounts, including DBAs, Admins and Service accounts should be carefully monitored to ensure they are not used to bypass policies. Not doing so will inevitably lead to disastrous consequences.There may be many reasons why an organisation’s data protection strategy is not up to par, but they will reside somewhere within having inadequate or ineffective processes, people, and technology. It is critical to be aware of potential pitfalls and actively work towards more robust data protection practices. GDPR or not, Data Protection Day should be every day in our data-driven business landscape.